Serving in the United States Armed Forces is an act that deserves recognition. With the Hyundai Military discount available at McDonald Hyundai, our team of dedicated Hyundai experts can help eligible service members get the new Hyundai they desire and at an amazing price. Our Hyundai dealer in Littleton, CO, wants to give you an extra $500 in Hyundai Military bonus cash to use toward a new Hyundai model. * To find out if you qualify for the Hyundai Military offer, just speak with one of our experienced Hyundai sales team members. That versatile new Hyundai Accent or spacious new Hyundai Santa Fe SUV is waiting for you on our lot, so find out if you can earn an additional $500 as part of the Hyundai Military Program today. Spouses are also eligible for the $500 Hyundai Military discount offered by our Littleton Hyundai dealer, which gives our team the chance to properly say thank you for your selfless commitment to our country. 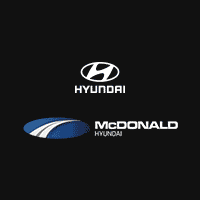 If you or your loved one would like to drive home in a new Hyundai sedan or SUV, contact McDonald Hyundai to see if you’re eligible for this promotion. It doesn’t matter if you’d like to lease a new Hyundai Tucson or Sonata, as we have plenty of Hyundai models currently in stock. Take advantage of the $500 Hyundai Military bonus cash offer now and get the keys to the new Hyundai of your dreams. From our family to yours, thank you for your service.